For many of us, we know the pains of morning rush hour on our two and a quarter subway lines. By 2020, there will be over a million more people living in the GTA. A big chunk of them will be using our already saturated highways, and public transit. Traffic congestion in the city affects us all, economically, socially and environmentally. To try to curb the rise of these problems, our governments have recently announced the expansion of Toronto's public transit system. But will these plans survive for instance a change in government? 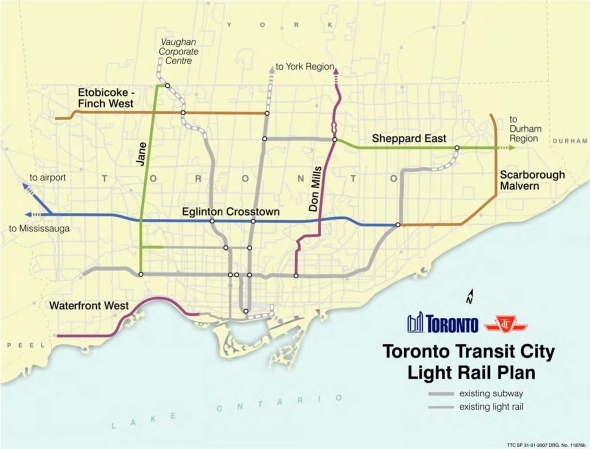 The Canadian Urban Transit Association released some good news this week. Preliminary figures for 2006 showed a 3.21 per cent increase in ridership across Canada. Doing the math, ridership grew by 52.7 million trips year over year, equaling approximately the total trips made in a city the size of Edmonton. With all the buzz about climate change and energy conservation, there is no sign of this trend letting go anytime soon. This is all the more reason for the Federal Transport Minister Lawrence Cannon to stick to his commitment to develop a national transit strategy. Last year the association recommended $20.7 billion worth of upgrades for public transit infrastructure for 2006-2010. As long as there is an increase in demand, the full expansion of the transit system has a chance of becoming reality.